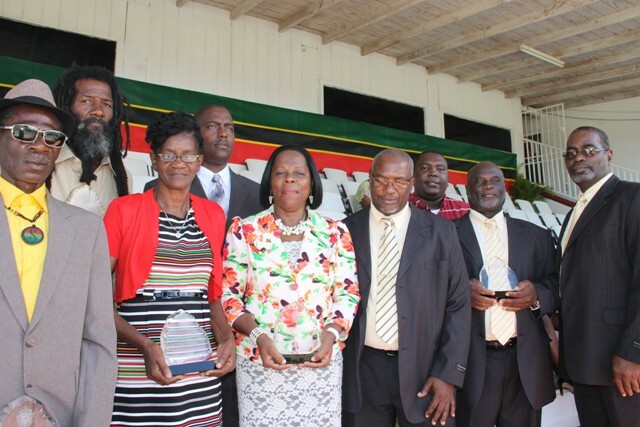 NIA CHARLESTOWN NEVIS (SEPTEMBER 20, 2016) — Six persons and one group were presented with Independence Day Awards in honour of their contribution to the development of Nevis in various fields of endeavour, at the 33rd Independence Day Ceremonial Parade and Awards Ceremony at the Elquemedo. T. Willett Park on September 19, 2016. Deputy Governor General His Honour Mr. Eustace John presented engraved plaques to Merville Donavon Liburd for his contribution to Agriculture, Stedvin Clarke for his contribution to Business, Viana Stapleton for her contribution to Education, Aldris Pemberton-Dias for her contribution to Health, Errol “Jabal” Tyson for his contribution to Sports, Rawle “Ingy” Richards for his contribution to Transportation, and the Dore Brothers for their contribution to Music. They join a group of persons who have been honoured at the annual celebrations since St. Kitts and Nevis gained independence from Britain in 1983. Meantime, Premier of Nevis Hon. Vance Amory, in an address following the awards presentation congratulated the awardees for what he described as their remarkable contributions in the various aspects of national development and their impacts. 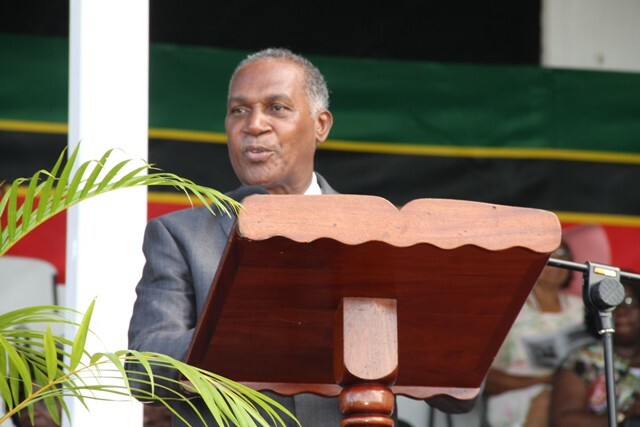 He also noted the importance of recognising those who contribute to the development of Nevis and urged others to do likewise for love of country.